Well, I must admit, I love steampunk! The first thing to say is that this is not steampunk, but a farce Victorian themed selling campaign. The project is No.15 Renwick, which is located in New York city near Hudson Squareç. The location is defined as the last underdeveloped corner of Manhattan by Observer. The project is self-avowed as steampunk to attract rich hipsters to this ’boutique’ condo development. I have to say that I am quite curious about the responses to such campaign as well. Especially to steampunk boxer!? Do these characters make you want to live in such an apartment building? Do you want to be like one of these characters? Does the imaginary life they are presenting attractive? This incredible timelapse video of artist Patrcik Vale while drawing the skyline of New York. Colossus by Pat Vale from BigAnimal on Vimeo. New York condo which seperates the entrances for the ‘poor’ and ‘rich’ residents has sparked a discussion of contemporary patterns of spatial segregation in the cities we live in. A luxury condo building on New York City’s Upper West Side has gotten clearance from the city to have a separate entrance, or a “poor door,” for low-income tenants, according to the New York Post. Extell, which is building the 33-story complex, will build a specific door for the 55 affordable housing units it’s including in order to be allowed to build a bigger building. The low-income units, which are available to people making 60 percent of median income or less, will also be in a segment that only contains affordable apartments and that faces the street while the luxury apartments will face the river. 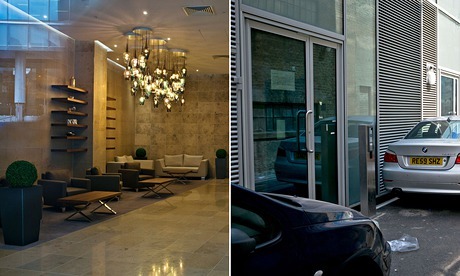 The image shows the One Commercial Street apartment’s ‘rich’ and ‘poor’ entrances. No need to mention which one is for whom. Reformism in local government has a Faustian history, often involving shady deals, compromised principles and unexpected outcomes as much as successful attempts to establish social justice in cities. On the other hand, this vertical segregation is not always part of affordability problematic. 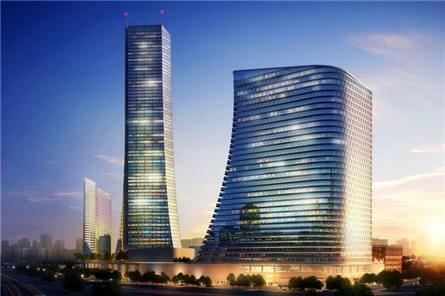 For example, Metropol Istanbul Project in Istanbul builds segregated enterances for VIPs and other residents. In the case of this project, it is not aimed to have any ‘affordable units’ (although affordability of the units in previous examples can also be questioned).This project is under-contruction now, and it is designed to have ‘VIP’ entrance for the residents who live on the upper floors than 30. This is going to be a segregation between the residents who will use common entrance together with home office users of the tower and the VIPs who will have their own special entrance. In that sense, we have segregation within the already-segregated-spaces, and so on. and what was Maggie saying again, “economics are the method; the object is to change the heart and soul“.